Ed Wright from Great Britain has opened the 2017 Finn European Championship with two emphatic race wins after a strong mistral kept the fleet on shore for most of the day. France’s Jonathan Lobert was consistent with two fourth places to sit in second, while two fifth places for Anders Pedersen of Norway leaves him in third overnight. With Ben Cornish in 5th and Henry Wetherell in 10th the British team had 3 in the top 10 overnight. After the practice race was abandoned on Sunday, the mistral was still in place for the first full day of racing and though the early indication was that racing would start on time, this was soon re-thought as gusts of 37 knots and a very steep sea was recorded on the race area. 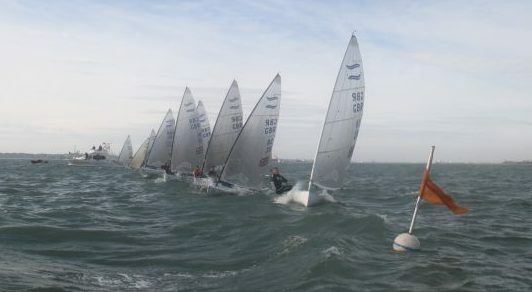 So the fleet sat on shore under AP under mid afternoon, when finally the wild wind abated slightly, but enough to get some racing underway, though the wind was still topping out at 30 knots. Each race started with one general recall and then the black flag. The race was really one of two halves: in the starting area big waves and 25 knot winds; at the top mark, 10 knots, flat water and 60 degree shifts, with the windward mark set a few hundred metres of the high ground of L’île de Pomègues. The first race was initially led by class veteran Rob McMillan, once of the British Sailing squad but now of Australia, who had a 30 second lead round the top mark. 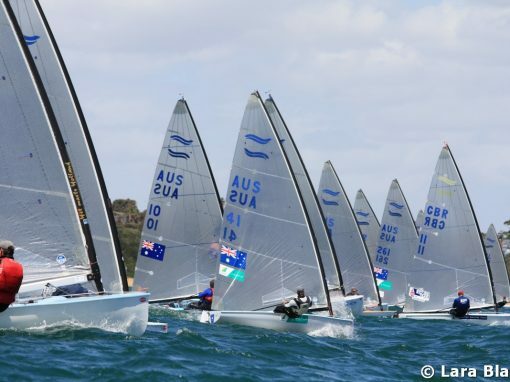 However his training partner, Wright, had taken the lead on the second upwind to extend down the reaches for his first win of the day, followed by Hungarian Zsombor Berecz and Ben Cornish of Great Britain. 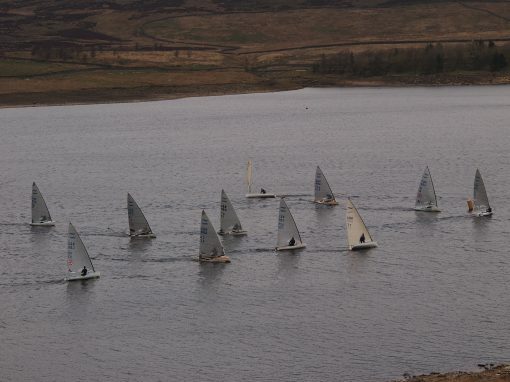 The second race was much the same with the strong winds at the start line giving way to huge random shifts the further the fleet progressed up the course. 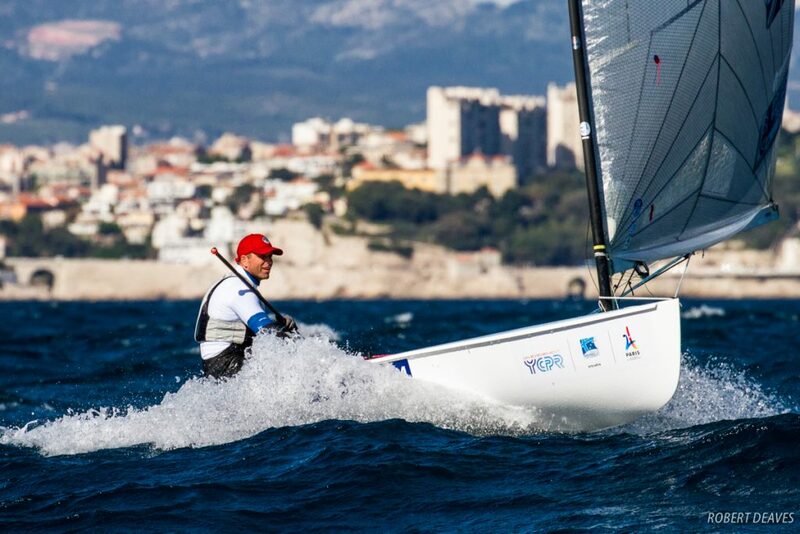 This time Wright led all the way round, to win from Sweden’s Max Salminen and the young Nenad Bugarin from Croatia. The fleet finally came ashore after 19.00, exhausted, but happy after an awesome day of Finn sailing. 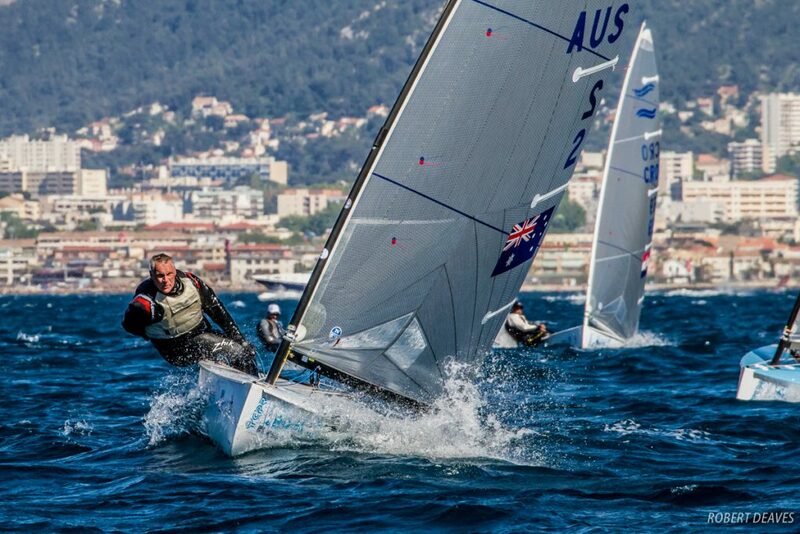 BFA GAC Pindar U 23 sailors Cameron Tweedle and Callum Dixon both had a good day and were tied on points overnight. Today’s race was a lighter affair, with Ed Wright caught out by the Black Flag, sending him down to 17th OA until the discard kicks in. 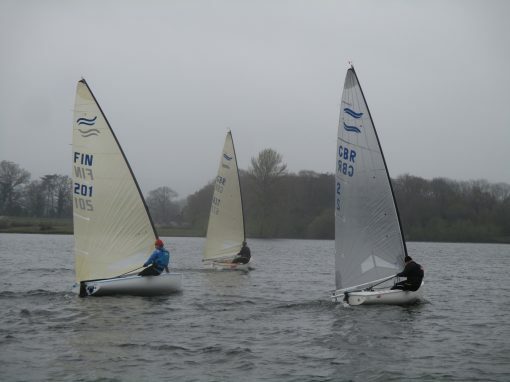 Ben Cornish took advantage to take the win and the overall lead after three races. Cameron Tweedle had a strong result in 23rd, nearly eclipsed by Dad Jon with an impressive 30th against an almost entirely professional fleet!